The Oscars are slated to move forward without a host this year, the first time that’s happened in more than three decades. The Academy had initially slated Kevin Hart to host, until some old jokes came back to haunt him, which prompted him to exit the role. Now, Hart’s Jumanji co-star Dwayne ‘The Rock’ Johnson has taken to Twitter to claim he was the first choice to host, but his schedule prevented it from happening. It’s worth noting that, since Hart is also returning to the upcoming Jumanji 3, his schedule wasn’t an issue. However, every actor’s shooting days vary from project to project, and with Johnson as the lead, he may not have been able to make it work. The Academy Awards have gone without a host only one time before, and before then, there were instances of big-named talent such as Bob Hope, Jack Lemmon, Rosalind Russell, and, of course, Donald Duck, sharing the duties. The last time more than three people hosted the event was in 1987 when Chevy Chase, Goldie Hawn, and Paul Hogan worked the stage together. 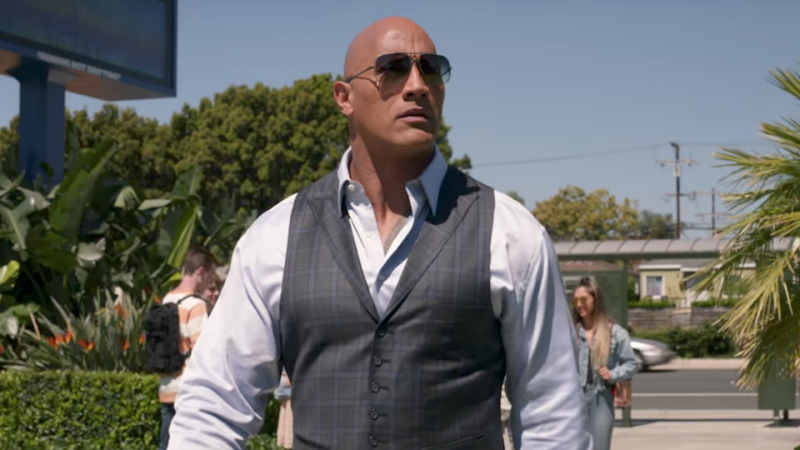 The post Dwayne ‘The Rock’ Johnson Reveals He Was the First Choice for Oscar Host appeared first on ComingSoon.net.